“With external pressures on us ever increasing in this fast paced, 24 hour, interconnected world, we are craving a sense of balance and sureness that we are in charge of our own lives. Otherwise we can feel overwhelmed and overloaded by outside influences. Today, as never before, we need to find solitude. Like an emotional and spiritual thermostat, being alone gives us the ability to shape and adjust our lives. It can teach us how to have inner strength and enables us to satisfy our own needs, rather than having to rely on others. But we’ve become reluctant and wary of seeking out solitude because of our fear of loneliness. 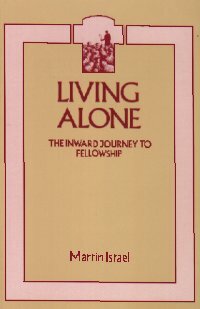 When most people think of solitude, they automatically imagine the bitter pain of loneliness. To many, the concept of ‘aloneness’ evokes our deepest fears of abandonment and lack of belonging. Loneliness, however, is not simply a case of being alone – we can be surrounded by crowds of people and still feel lonely – but rather it is the belief that no one cares about what happens to us. It is the distressing realization that we lack close and meaningful contact with others which, in turn, produces feelings of being isolated from them. It is this basic need to avoid being lonely that pushes us to create countless connections around ourselves. Our computers and cell phones reassure us by providing the tools to stay constantly in touch with each other. Yet these technological props only distract us from listening to our internal voice and increasing our sense of self awareness. This obsession with staying connected to the outside means we are forgetting how to get in contact with our inner selves. Unlike the negative state of loneliness, solitude is the positive and constructive experience of engagement with oneself. Solitude is refreshing, a time of being on your own where you voluntarily retreat from the company of other people. Solitude is being alone without feeling lonely. The difference is in our attitude towards ourself. In solitude we enjoy spending time alone, because we know that we are all the company we need. Solitude can be used to gain fresh perspectives that allow us to appreciate those things that actually matter. Learning to be at ease in your own company is a skill you can develop which will be of great help throughout your life. I believe that solitude is a key ingredient to a healthy sense of self. It provides us with a dedicated time to discover and to get to know ourselves better. By repositioning ourselves at the centre of our own lives, we feel that we are back in charge, rather than being buffeted by external forces. At first, the notion of being all alone can make you feel a little nervous and uncomfortable. If so, take a moment to ask yourself why this is. It’s helpful to think through the issues you have with being in your own company before you try to create a time of solitude. But don’t let these doubts stop you from going ahead with your plans – you can use your alone time to work through these issues. Hopefully you already have some ‘me time’ built into your life, even if it’s just for a few hours every so often. The exact length of time you need really depends on your own situation, but it’s important to organize a dedicated period rather than just hoping you can grab a few hours here and there. As for how long is necessary, the more quality time you can set aside the better, though one hour is better than nothing at all. The crucial factor is how you spend your time in solitude, not the duration of minutes. To minimise everyday distractions, it is useful – where possible – to get away from your usual living environment. If you do decide to remain at home or in your own garden, you need to be sure that you can go uninterrupted and undisturbed for a reasonable period. Alternatively, you might visit your local park or forest. What matters is that you find somewhere you can experience meaningful alone time, rather than having to go to a place with no one else around for miles. The quietness that comes with solitude provides the perfect backdrop for meditation. This is an ideal way to revitalize our understanding of what makes us who we are. With regular meditation comes the ability to bring a degree of clarity and insight into our lives. Strategic thinking lends itself well to periods of solitude. It’s not an easy technique to master, but it is a valuable skill to practice. One way of trying it for yourself is to take a problem and then play around with it in your mind. The aim is to dig deeper into your thoughts that are bubbling below the surface. Go beyond the initial solution you hit upon and come up with the next few possible solutions. Put the problem to the back of your mind and go back to it later, when you repeat the process again. By doing this, you can be reassured that you’ve done your best to get to the heart of the issue and have confidence your answer is well considered. Our creativity comes out when we are in contemplation. We need peace and quiet time to work out solutions, to have ‘Eureka’ moments, and to devise original ways to do tasks. Most earth-shattering discoveries have been made by the solo scientist or when great minds have been alone. You can use your time in solitude to brainstorm ideas as the starting point to unleashing your creativity. Be bold with your thoughts – there’s no one else around to dismiss them. Throughout the ages, humans have escaped from the constraints of society to commune with nature. There is a solitary happiness in appreciating the natural world close up. Do you remember the joy (perhaps fear!) you had when you first saw a bee close up as a child? You’ve probably lost that feeling of amazement in adulthood. Use your solitude to really study the world around you. Touch the grass, smell the flowers, watch the clouds. You’ll soon begin to get a renewed sense of your place in the world. Going for a walk in nature is another great way to connect with ourselves. The unknown and unrecognised Hermits are those who simply disappear into the wilderness, whether for reasons of religion, philosophy or personal desire, and live alone and undiscovered. In Australia. One of the areas that has attracted many such Hermits is the wilderness of Tasmania. Fortunately, there are now groups seeking to document and preserve the stories – or last the artefacts – of these unknown Hermits. 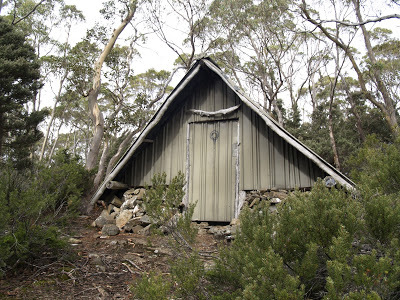 “Masterfully hidden in its natural surroundings in the Walls of Jerusalem National Park, the Solitary Mans Hut was built by a modern day mountain man who to this day remains an enigmatic character, his identity known only to a handful of people. He was extremely physically fit and aged in his late thirties, when he challenged himself in the mid-1980s to not only build a mountain hut but also to live and survive in the harsh conditions which the extreme weather and isolation of the area threw at him. The hut is set on a stone foundation with saplings fashioned into an A-Frame to support the green aluminium cladding. The surrounding bush shows no scars from where this remarkable man gathered the rocks and saplings to build his hut. 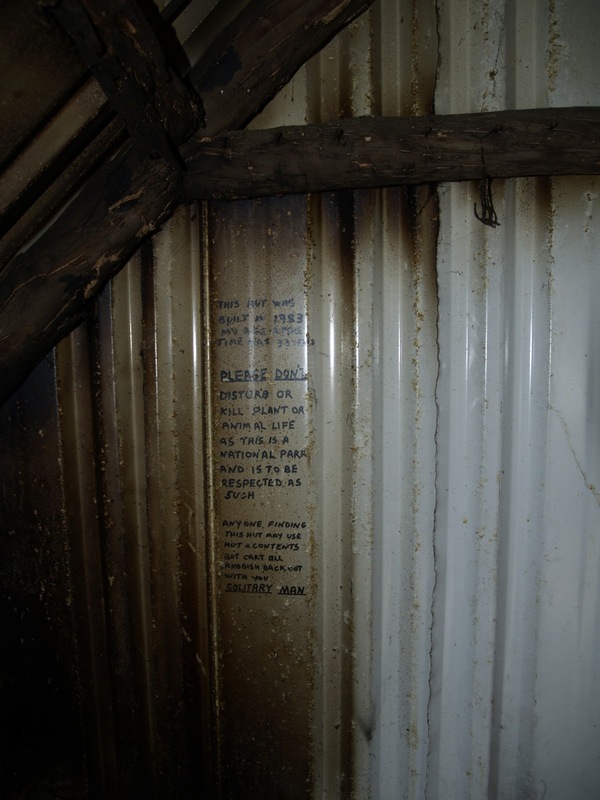 In fact, the hut is so well camouflaged that walkers can come within metres of the cabin and still not see it. Nearby, a weightlifting bench, made from locally gathered stone, is testament to the fitness of the Solitary Man. “It is a simple A-frame affair, clad in grey-green roofing metal, with a rock foundation. Jeff goes inside, at first unsure whether this is the hut Doug built. But he finds a hand-built chin-up bar just inside the door, and smiles broadly. Doug used to pride himself on his chin-up prowess. Jeff tells us a bit about the man who built the hut. In the early 1980s Doug’s life had taken some difficult turns, including a marriage breakdown. A keen bushwalker, he had sought out a remote location to retreat to. He wanted his mind to become as strong as his body. 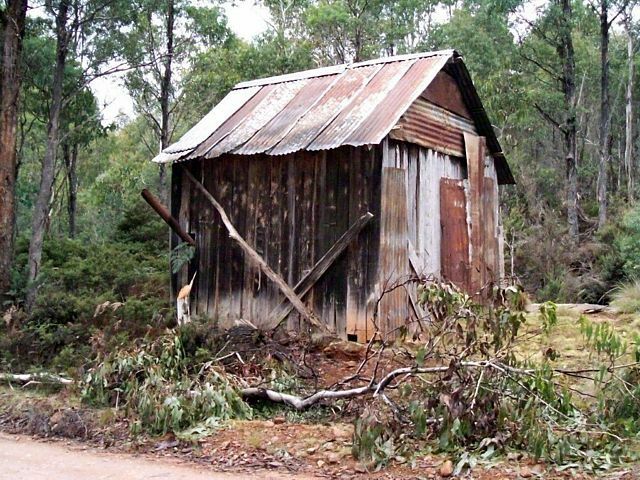 Over a period of just six weeks in 1983, he had built this simple, isolated bush hut, carrying in everything that he needed. Between January 1984 and July 1985 he spent the bulk of his time living in what he called “Solitary Hut”. “The Walls of Jerusalem National Park forms a part of the Tasmanian Wilderness World Heritage Area. As the park is remote and not accessible via road, the Walls retains its wilderness character. 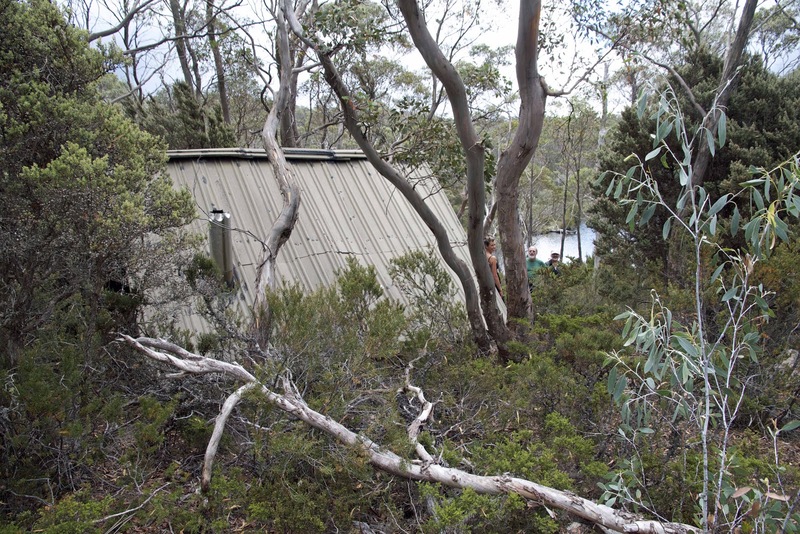 There are no facilities for casual visitors, while bushwalkers are required to be well-equipped and experienced in the often harsh Tasmanian conditions. Looking north west from Solomon’s Throne. The prominent peak on the left is King Davids Peak. The Temple is on the left with Mount Jerusalem behind. “A man that studies Happiness must sit alone like a Sparrow upon the House Top, and like a Pelican in the Wilderness” – Thomas Traherne (1636-1674), “Centuries of Meditations”, The Fourth Century (13). “”Le grand malheur, de ne pouvoir être seul”: the great sickness, said La Bruyère, is the inability to be alone. Solitude was once counted a virtue. These days, recluses are regarded with suspicion. “Loner” is a word reserved for paedophiles and serial killers. Only a special few are allowed to retreat from society: those, like monks and nuns, wearing the proper uniform. The rest of us are expected to surround ourselves with company; only then can we keep the infinite spaces at bay. Even the solitary stroll, traditionally a cure for most things (solvitur ambulando: it is solved by walking), has been abolished, thanks to the personal stereo and mobile phone. Colegate’s interest in the subject stems from a 15-acre wood she used to trespass in and now owns. The wood was planted 200 years ago and originally included a hermit’s cell, that great fashion accessory of the Augustan age. 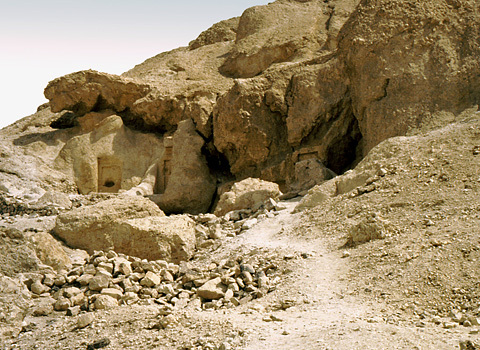 Intrigued, she began to excavate the site, and gradually restored the hermitage to its pristinely ruined state. Had she been living in the 18th century, she’d have gone further and installed a hermit. Many a landowner did so: Charles Hamilton, for instance, advertised for a hermit who’d stick around for seven years, in return for which he’d provide food, water, a Bible and, at the end, 700 guineas. The successful applicant lasted only three weeks before being spotted sneaking off to the local pub. This is the sillier end of the recluse business. Colegate is more interested in the solid majority of hermits, with their spiritual yearning, straggly beards and love of nature. Her subjects range from Thoreau, who claimed to have built his hut by Walden Pond for $28.12, to Krishnamurti and Swami Abhishiktananda. Her travels take her from Dumfriesshire, where there is a thriving Buddhist retreat, to the Syrian desert, home of St Simeon, the most famous of the stylites. Stylites are hermits who dwell on the tops of pillars, and aren’t to be confused with dendrites, who live in trees. Among the latter was Mrs Pobjoy, Beau Nash’s last mistress, who after his death in 1761 moved into a hollow trunk and stayed there. Hermits come and go, like everyone else. They were common in the middle ages, and again in the early 19th century, when the myth of the noble savage gave them a new lease of life. After the first world war, many of Britain’s hermits were trench survivors suffering from shell shock; the late Richard Cobb reported that there were five living in the Tunbridge Wells of his childhood. The backwoods of the US filled up with hippies and outlaws after Vietnam. Mount Athos, in Macedonia, was a similar magnet after the collapse of communism. In the 1960s, the average age of monks there was 80; in 1991, it was 34. It seems that hermits are far less solitary than legend suggests. St Anthony, prototype for Christian hermits, had hundreds of followers living near him in huts and cells, and crowds would flock to hear him. Hermits may withdraw from the world, but they’re also expected to give something back – whether herbal cures, honey from their hives or sermons on how to live. Nor are hermits always male: among the women Colegate talks to is Sister Maximilian, who rides a motorbike and supports herself by heraldic painting. She also cites cases of nuns living in celibate union with monks. There’s a word for this – syneisaktism – just as there is for the neurosis many recluses suffer from: scopophobia, the fear of being looked at. Neurosis is a risk for those who live in isolation. Sensible hermits keep themselves busy communing with God and cultivating their gardens, but as well as the ecstatic self-transcendence achieved through meditation, there’s also the prison of solipsism. “Woe to him that is alone when he falleth,” says the Bible, “for he hath not another to help him up.” Colegate cites the cases of three poets – Cowper, Clare and Gurney – whose solitude led to the madhouse. Other hermits have simply been frauds. 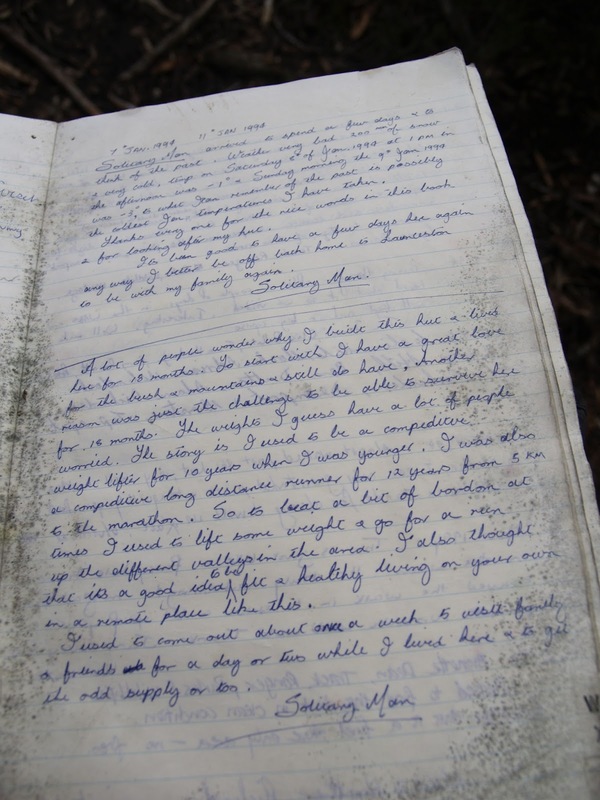 The best passages are those where Colegate describes places she has visited and people she has met. Elsewhere, she seems shy of self-exposure (this is her first work of non-fiction), and in her enthusiasm for the subject bombards us with bitty character sketches and historical anecdotes. The book is full of fascinating detail, but a sharper focus would have made it less fragmentary. “This is a delicious book, not least because it has a brisk, even secular, approach to a subject too often approached in a spirit of gushing awe. Not credulous, but not cynical either, Isabel Colegate begins with speculation about a ruined 18th-century hermitage in her own garden. She takes us deep into the Enlightenment, when cultured people – notably sociable, most of them – thrilled themselves with the idea of the craggy unsociability of the hermit…. Colegate has travelled the world looking for hermits, and brings back meetings with contemporary Christians, Hindus and Buddhists without crowing about her exploits. She is never the story, which is refreshing. Partly because there are fewer of them than ever, but also because of the lives they lead, not many of us have ever met a hermit. Yet, oddly, it takes a book like this to remind us that the full-time, full-on hermit is merely a professional version of what any of us needs (and most of us manage, more or less) to be on an amateur and part-time basis. 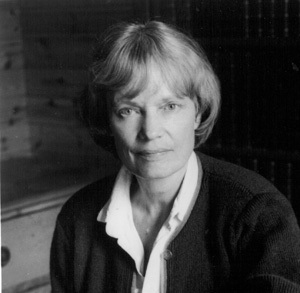 Isabel Colegate says that “elected silence” cleanses “the doors of perception”. Like most of us, she probably believes that there is a deficiency in individuals who can’t handle being alone, quiet and unentertained. The idea of the wilderness is crucial. As Colegate notes, people tended to seek out the lonely wild when their civilisation adopted and corrupted their religion. Historians seem to agree that’s why Saints Paul (and a little later) Antony decamped into the bleak Egyptian hills. Then there is the recurring theme that hermits can do something to heal the fallen world and its rift with the natural state. Hermits were routinely succoured by wild animals and birds as they battled demons in the waste. 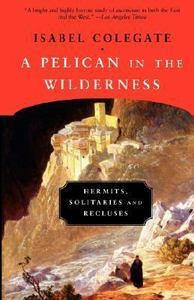 No wonder the hermit and the wilderness have remained a potent combination: as Colegate notes, the 19th-century back-to-nature movement (and our own greens and mountaineers) saw that solitude in wildness had become therapeutic in an industrial age, in much the way it had been redemptive in a religious one. Colegate only lightly touches on an idea which is common in monastic conversations. Maybe any of us should and can cultivate what has often been called “the desert within”. 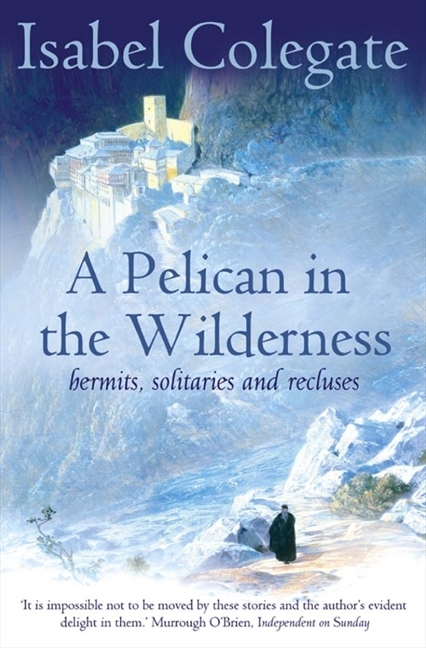 Indeed, the image of the hermit as a loner in the wild can obscure the way that the real work of the hermit can be done in public, or in the city. Most monks live a life which combines the solitary with a horrible absence of privacy: Mother Julian of Norwich was holed up in a church in Norwich. Any of us can construct a virtual hermitage in a personal wilderness. Indeed, this may be what the cult of minimalism is about. There are all sorts of solitaries who are not hermits. Tramps and lone sailors are not sufficiently deliberate in their spirituality (if any) to qualify. Neither is the castaway’s solitariness. Robinson Crusoe rationalised that he had been shipwrecked to atone for the crime of abandoning his father, while a religious anchorite is on a deliberate pilgrimage away from family, and towards God. Colegate never gives us psychobabble. She is adding to a select literature of spiritual tourism (most of which she usefully cites) among pilgrims engaged on “the solitary voyage of the practised mind into the void”. Of course, we are not much the wiser, though we are likely to be intrigued. As outsiders, we can’t know whether any particular hermit is actually spiritual. Not for nothing have established religions been wary of these loners. An appetite for loneliness is often a sign of mental illness, and it is hard to know (or check) what is being achieved by people doing their own thing. This observation might suggest that the attainment of felicity requires one to be not merely alone but elevated, in which case the happiest of hermits were the stylites, so named because they perched on pillars in the wilderness (Greek: stylos, a pillar). 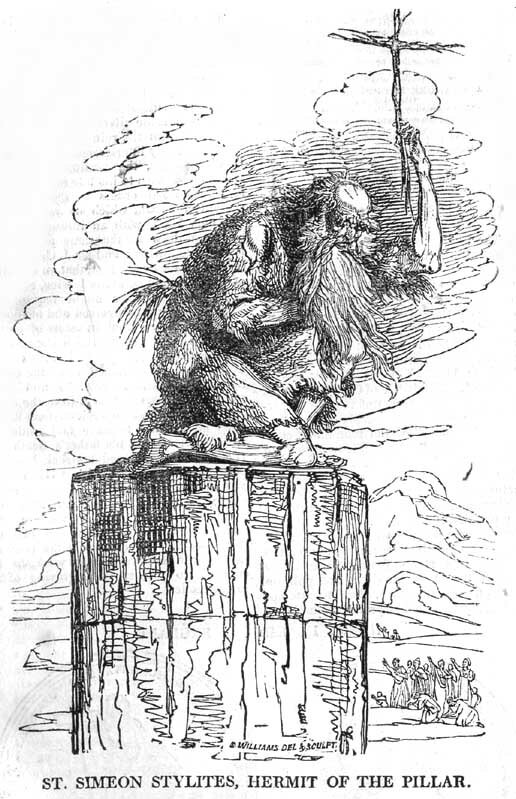 The most celebrated of the stylites was Simeon, a fifth-century saint who lived for 36 years in a hut on top of a pillar 60 feet high, emerging from time to time to harangue the crowds and entertain them by performing up to a thousand consecutive genuflections, very likely still a record. Colegate indeed does, in her own good time, deal pleasantly with St. Simeon and other stylites, incidentally pointing out that they were not true hermits, since hermits do not have crowds of fans. Still, they were in a real sense solitaries, and deserve to be counted along with solitaries of many other varieties, men and, occasionally, women who secluded themselves with more or less rigor all over the world…. Her pace is civilized and leisurely, but she covers much ground and has clearly done a good deal of research and travel, some of it arduous. But the style is always well tempered, and the transitions smooth…. Some spiritualities do not travel well. The asceticism of Russian hermits and the weird behavior of Russian ”fools for Christ” offer more examples of this failure, though Colegate treats them with her habitual consideration. The life of the hermit is often undertaken by people who deplore the lack of spirituality in whatever culture they belong to, but this renunciation is far from guaranteeing exemption from the temptations of the flesh. 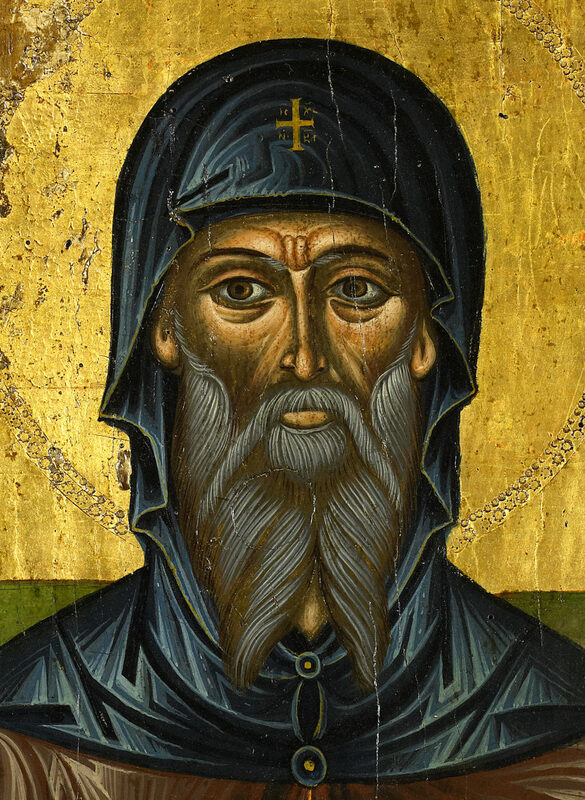 The third-century St. Anthony of Egypt, ”prototype of all Christian hermits,” retreated from city to desert, and despite his celebrated supernatural torments was joined there by many other world-haters. There are always some around, though nowadays usually in communities that favor silence. 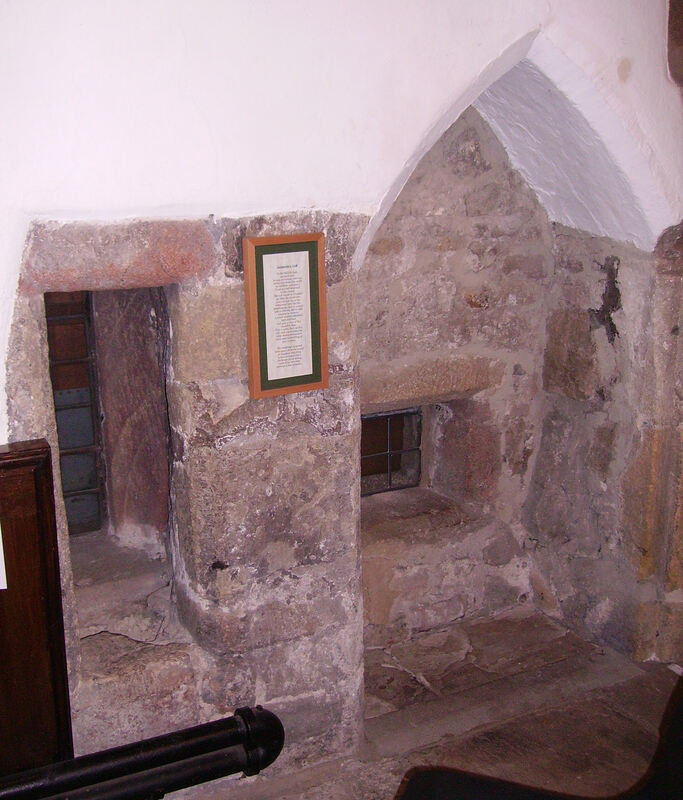 It seems that a monk or nun wishing to be a hermit now has to seek permission from higher ecclesiastic authority. A lot of information is quietly dispensed in this book. It touches on the English medieval mystics (Richard Rolle, Juliana of Norwich) and stretches to include ”mad” 18th-century poets like Cowper and eccentrics like William Beckford, who spent his enormous wealth on a fantastic Gothic abbey with a tower, five times as high as Simeon’s pillar, that fell down. He lived (sometimes) in seclusion, surrounded by curios and works of art. Not perhaps a true hermit, but one who holds the attention. 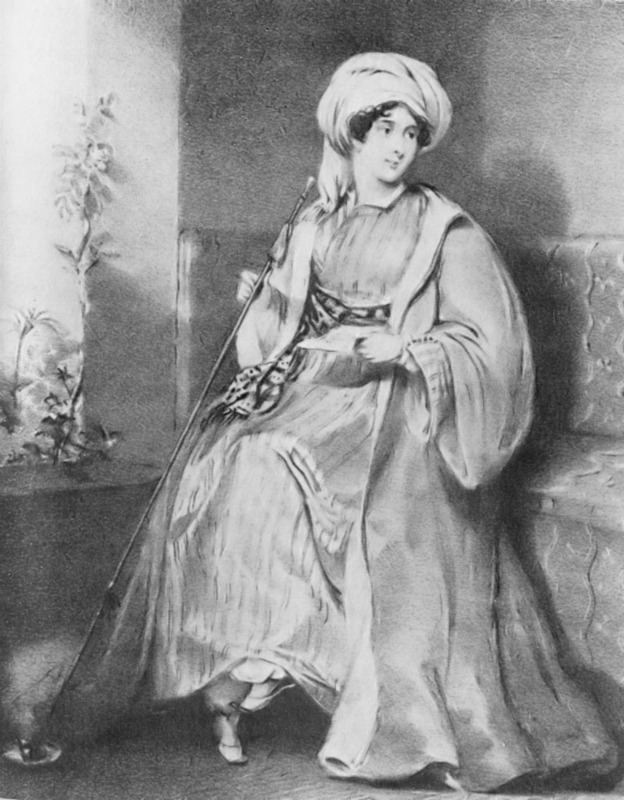 Another upper-class English eccentric was Lady Hester Stanhope, a forceful woman who was the niece of Prime Minister William Pitt the Younger and had a career as a political hostess, but at the age of 38 retired to the Lebanon, where she lived, unveiled, in Oriental splendor, with some 30 personal attendants. Again it stretches a point to call her a solitary, but she certainly fled the city for the desert. Like the world at large, the idea of the hermit was progressively secularized. Nothing could be less like the agonies of St. Anthony, or even the ostentatious retreats of Beckford and Stanhope, than the mild Romantic variety loved by Wordsworth, who communed with nature and conversed with stray solitaries but was rarely alone. America has its own version of this compromise: Thoreau was ”quite a sociable hermit.” However, it also invented the modern celebrity hermit, for instance J. D. Salinger; and of course there was Howard Hughes. Preferring holiness to pathology, Colegate enjoys her wanderings but returns in the end to the place where she started. On a visit to an Anglican convent she meets a nun whose need for solitude had taken her to an abandoned cabin on a cliff. Having repaired it, she lived there for 18 years, not quite alone because people brought their troubles to her. Unlike the Duke of Portland, Howard Hughes or Beckford, she believed that the responsibility of the solitary was ”to stand at the intersection between the love of God and suffering humanity.” Colegate finds this attitude admirable…. 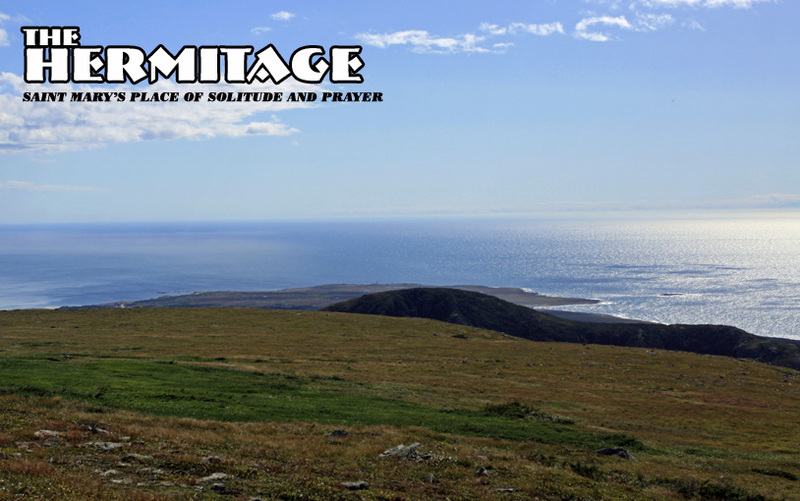 Saint Mary’s Place of Solitude and Prayer is a diocesan hermitage in Canada where both men and women are welcomed to live the eremitic life. The hermits make a simple vow to live the eremitic life which has been a tradition in the Christian Community since third century. •	is rooted in the experience of being captivated by the Mystery and is a response to this experience. •	is a gift in and for the world. •	is solitary and simple. •	is a journey of interiority. 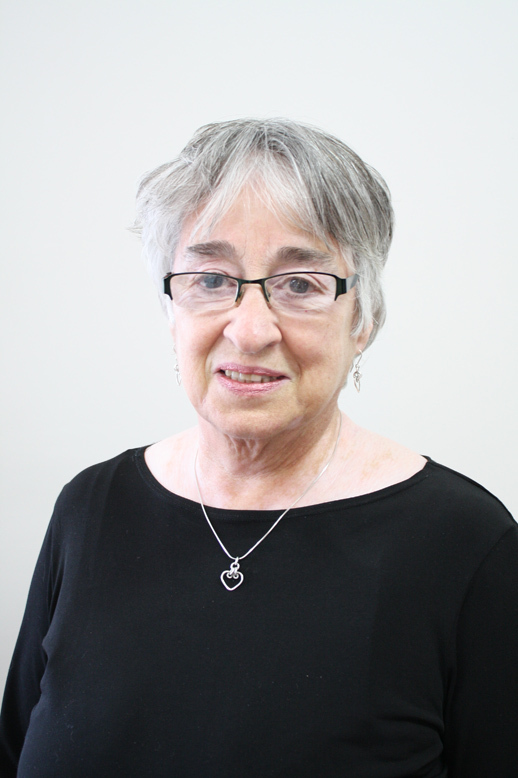 In 1958, Margaret MacKinnon willed her family property to the Roman Catholic Diocese of St. George’s, (now known as the Roman Catholic Diocese of Corner Brook and Labrador) to establish a monastic presence. In July 1990, to honor her desire, St. Mary’s Place of Solitude and Prayer was established. 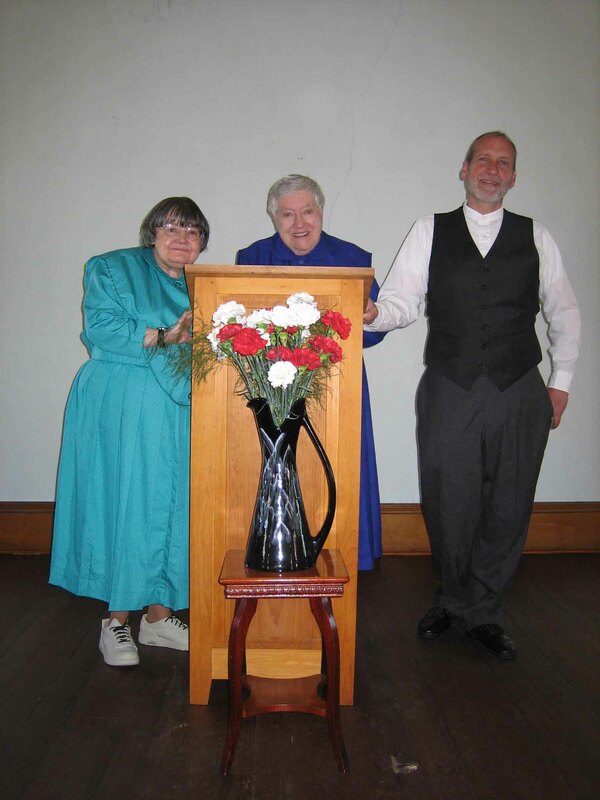 Sheila O’Handley and Nick O’Keeffe have made public commitment in the Church to live the hermit life, supporting themselves through weaving, pottery, and gardening. In the Fall of 2004, an Association of Friends of Saint Mary’s was established, consisting of individuals and couples who wished to support the contemplative ministry of the hermitage. In October 2005, the association became incorporated and is now legally known as Association of Friends of St. Mary’s Place of Solitude and Prayer Inc.
To witness the primacy of the Sacred in all of life. To create for guests an environment which is welcoming and nurturing. St. Mary’s Place of Solitude and Prayer, in the Codroy Valley in southwestern Newfoundland, recently had extensive upgrading done on its residential buildings, thanks to the generosity of Catholic Missions In Canada. This work has made the buildings fully winterized. The history of St. Mary’s goes back to 1958 when Margaret MacKinnon willed her family property to the Diocese of St. George’s (now the Diocese of Corner Brook and Labrador) to establish a monastic presence. In 1990, to honour her desire, St. Mary’s was established. St. Mary’s recognizes the need for contemplative and spiritual reflection in the lives of all persons. Two guest hermitages are available year-round for individuals, couples, and all who seek to listen to the heart in solitude and reflection in this peaceful and aesthetically beautiful setting. There are no community activities at St. Mary’s. If, however, a guest would wish to have some spiritual reflection, counseling, or a directed retreat with one of the hermits, this may be arranged. On the property, Sheila O’Handley and Nick O’Keeffe live the hermit life, supporting themselves through weaving, pottery and gardening. Nick O’Keeffe was ordained a priest in 1965; he served in Nigeria (1966-1975) and in Newfoundland (1975-1987). 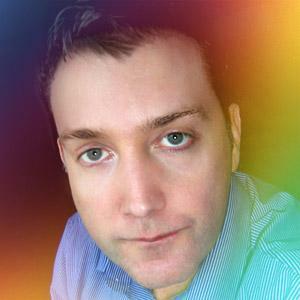 Nick holds degrees in the arts, philosophy and theology, a diploma in community development, and a masters in pastoral counseling. From 1987 to 1989 Nick apprenticed to the Canadian potter Jack Ouellette at his studio in Arichat, Nova Scotia. Nick experienced a call to the hermit life in 1983. 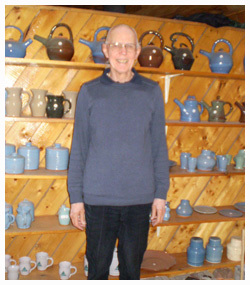 In 1989 his diocese in Newfoundland decided to establish a hermitage called Saint Mary’s Place of Solitude and Prayer and he has lived there ever since as a diocesan hermit supporting himself as a potter. In 1958, Sheila O’Handley entered the Sisters of Saint Martha, Antigonish, Nova Scotia, Canada. Having experienced a persistent call to the solitary life she came to Saint Mary’s Place of Solitude and Prayer, Doyles, Newfoundland, Canada, in 1993. She holds a Masters in Christian Community Development, a Masters of Divinity and a Bachelor of Sacred Theology. Sheila is a self taught weaver. she works with a variety of materials: cotton, silk, chenille, wool and linen; creating jackets, scarves, shawls , table and altar clothes, runners and so on. “One of the most mysterious and at the same time pathetic figures that ever appeared upon the Santa Fe Trail was a gentle, saintly, self-sacrificing priest, familiarly known as “El Solitario”, who for several years lived in a cave in the Rincon range of mountains. N. M. [New Mexico] and in his honor the Mexicans have christened the highest peak “El Cumbre del Solitario” –the hermit’s mountain. He was always reticent about himself and seldom spoke of his past life, but allowed it to be known that his exile and self-denial were not involuntary, and that his sacrifices for his fellow men were to expiate some great crime. He was of Italian birth and his name was Father Matteo. Many romantic tales of his early life were in circulation. Most of them were inventions or speculations to account for his presence in the mountains. It was generally understood among the frontiersmen that he had fought with Garibaldi and had fled from Italy under the curse of the pope. He was also the hero of a romantic love story, and his tragic death was attributed to the brother of a girl in Naples. But whatever his former life may have been there was no doubt of his penitence and he lived like a saint, administering consolation and suffering hope to the unhappy, binding up wounds and healing the sick in body as well as in soul. The fact that he maintained no relations with other priests and was never known to communicate with Bishop Lamy at Santa Fe, who was himself a conspicuous and picturesque character of long experience upon the frontier was accepted as evidence that Padre Matteo had been deposed and perhaps excommunicated. But that made no difference with his ministrations, and even increased his popularity. His profound sorrow, his unremitting zeal, his complete sincerity were enough to satisfy the rough hunters and herdsmen to whom he ministered and the suspicion that the church had refused him absolution aroused sympathy for a fellow sinner. Father Matteo was highly educated. He spoke all languages. He had a knowledge of all literature. No foreigner ever came into the Rincon country but the priest could talk to him of his home in his own language. Besides his prayer book and his rosary, the only article that seemed to be associated with his past life was a much battered mandolin, upon which he played both secular and religious airs, to the great enjoyment of his parishioners. He was a master of the instrument, and it was the only diversion this gentle man of sorrow ever indulged in. His familiar and beloved form had been missed from its usual haunts for a week or ten days when a party of miners found his lifeless body lying on the rugged trail that led to his cave. A poisoned dagger of unusual design and evidently of Italian manufacture had been driven between his shoulders into his heart. The assassin had attacked him from behind, and apparently had escaped without meeting his eyes. His rosary, that always hung about his neck, was firmly clasped in his fingers, and the expression upon his face was one of holy resignation. No trace of the assassin was ever found, but it was the general impression that the murder was committed by one of a large gang of Italian railroad hands, and was the result of a vendetta. On the walls of his cave, the miners carved an inscription which read: Matteo Boccalina. Jesu Maria. 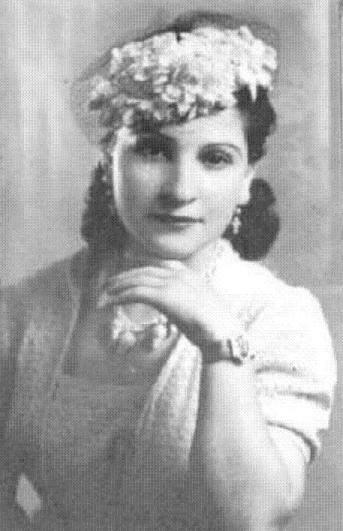 An account of the Hermit is found in “Legends of a Hermit” by Elba Cabeza de Baca y Gallegos (1918-2010) (for whom see http://rancho.pancho.pagesperso-orange.fr/Elba.htm ), Los Vegas NM, author, n.d. The book is a collection of local legends of the Italian hermit Giovanni Maria Agostiniani who inhabited Hermit’s Peak (El Cerro) near Las Vegas, New Mexico from 1863 to 1868. Few songs reflect the spirit of the Hermit with such plain simplicity as the Shaker song, “Simple Gifts”. 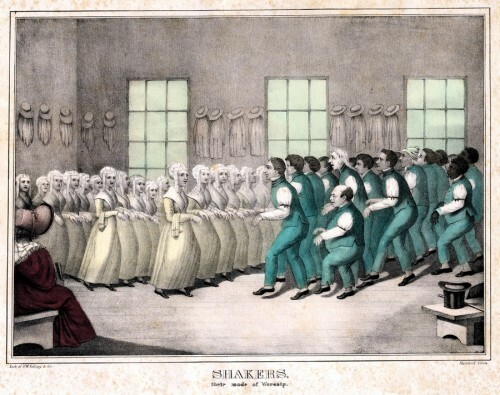 Although the Shakers did not live as Hermits, and placed great importance on the concept of community, their principles of simplicity, plain living and self-sufficiency resonate with the eremitical tradition. “The tune was written by Joseph Brackett (1797–1882) in 1848. 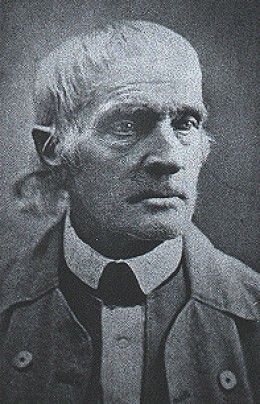 Brackett, a lifelong resident of Maine, first joined the Shakers at Gorham, Maine, when his father’s farm helped to form the nucleus of a new Shaker settlement. 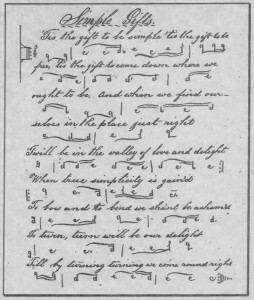 It was first published in “The Gift to be Simple: Shaker Rituals and Songs”. 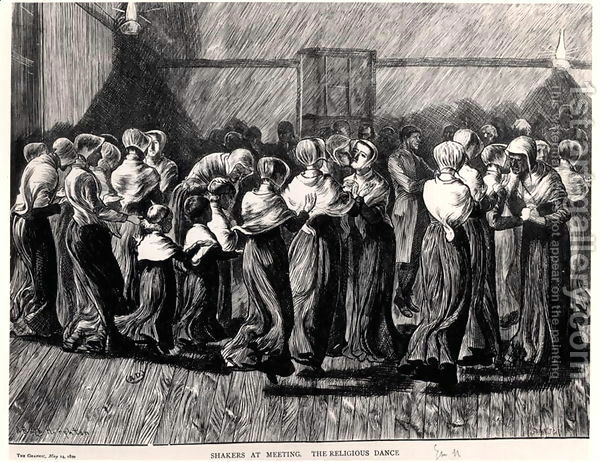 “Simple Gifts” was a work song sung by the United Society of Believers in Christ’s Second Appearing (more commonly called the Shakers). The song was largely unknown outside Shaker communities until Aaron Copland used its melody for the score of Martha Graham’s ballet “Appalachian Spring”, first performed in 1944. Copland used “Simple Gifts” a second time in 1950 in his first set of “Old American Songs” for voice and piano, which was later orchestrated. Many people thought that the tune of “Simple Gifts” was a traditional Celtic one but both the music and original lyrics are actually the compositions of Brackett. “Simple Gifts” has been adapted or arranged many times since by folksingers and composers. Various additional verses, not part of the original or written by Shakers, can be found and are often added in modern versions of the song. 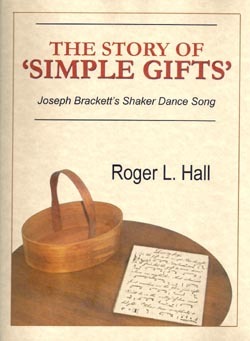 See Roger L. Hall “The Story of ‘Simple Gifts’ – Joseph Brackett’s Shaker Dance Song”, PineTree Press, (2006/revised edition, 2010). See http://www.americanmusicpreservation.com/JosephBrackettSimpleGifts.htm for a fascinating and detailed study of the song and its history, and links to other relevant sites. 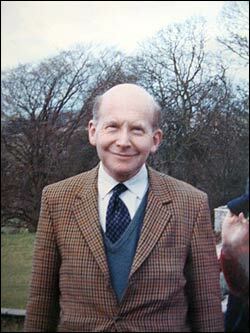 “The Reverend Dr Martin Israel, a distinguished pathologist, former lecturer at the Royal College of Surgeons, and a priest in the Church of England, has been described as “one of the most sought after spiritual guides in this country”. He is deeply involved in healing, counselling and spiritual direction. You are currently browsing the Citydesert blog archives for October, 2013.